Long Thonging replacement zip tag in tan. 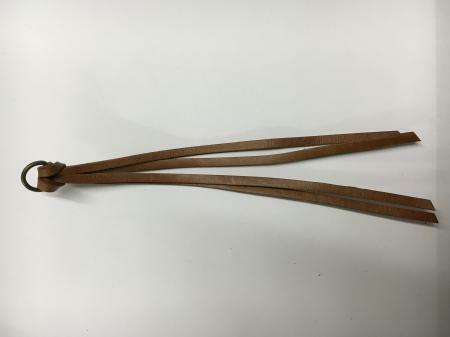 This 17cm leather replacement zip tag is in mid-tan leather thonging. It comes with a nickel split dee ring.